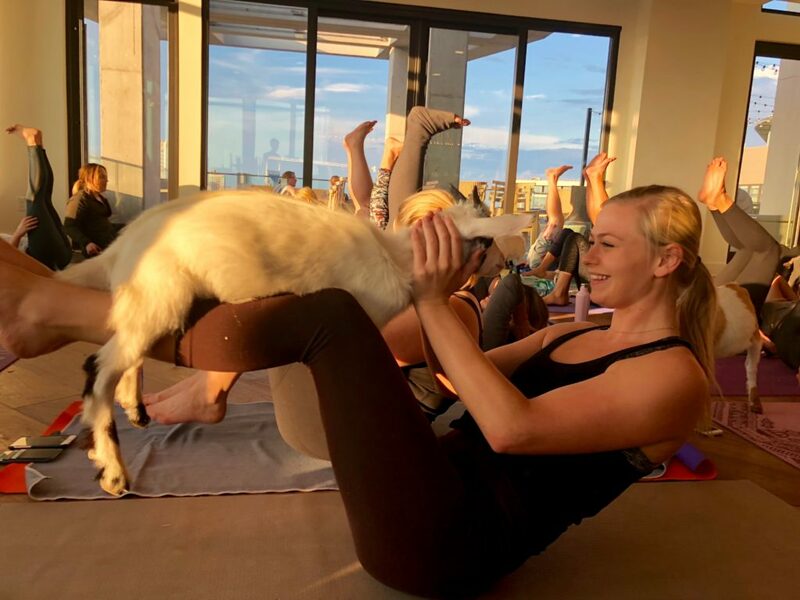 Want a workout that involves yoga and adorable animals? 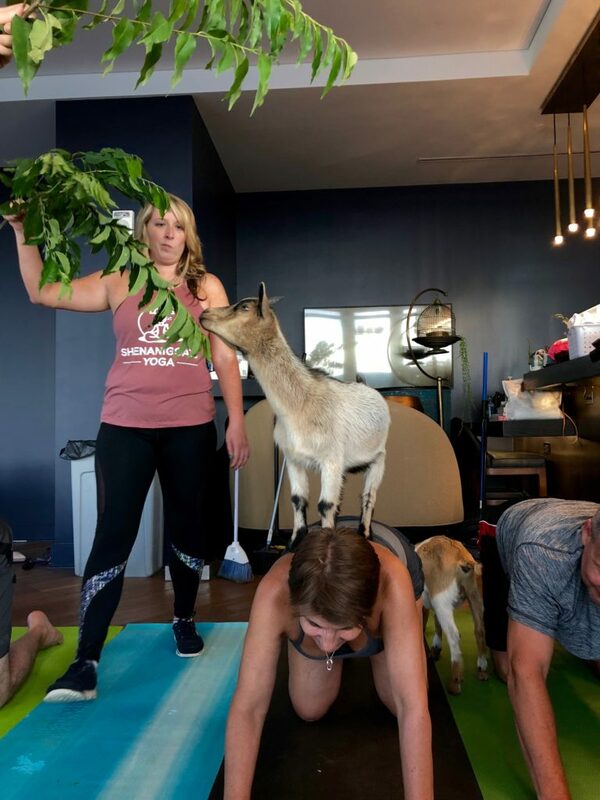 Shenanigoats Yoga offers all of that and more with their goat yoga classes. The concept began with a farm and a family who had an immense love for goats. 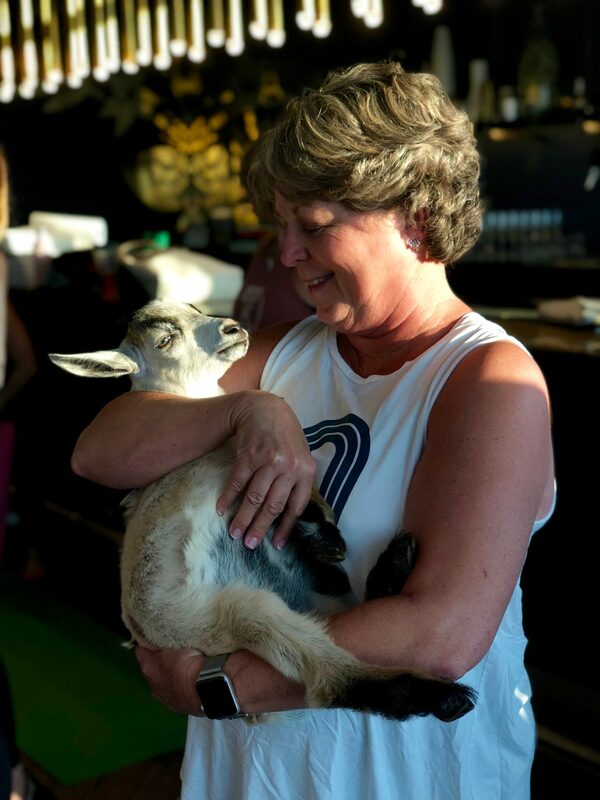 To share their admiration for the animals, they began goat yoga with their tame and playful baby goats. 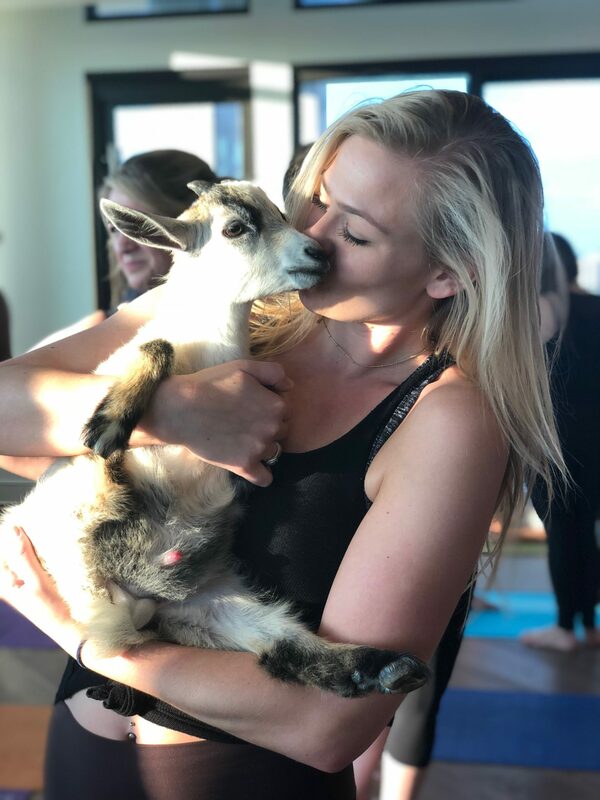 Shenanigoats Yoga was born and has become the go-to experience for those looking to change their yoga practice or simply interact with amazing creatures in a different way. 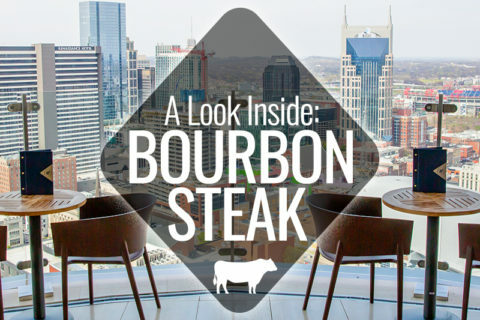 Here’s what you need to know about this fun thing to do in Nashville. 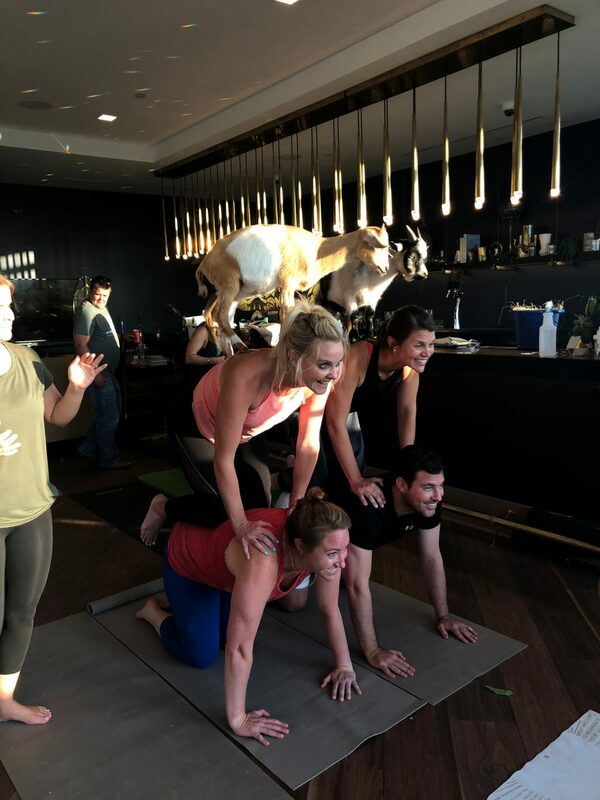 Check the Shenanigoats Yoga class schedule and buy your ticket. There are morning, afternoon, and evening classes which last an hour. Most classes cost between $25 and $30. On the day of your class, wear usual yoga attire. They recommend you bring your own mat. Arrive at class early and find your spot. The goats will be around you and your mats playing and exploring. 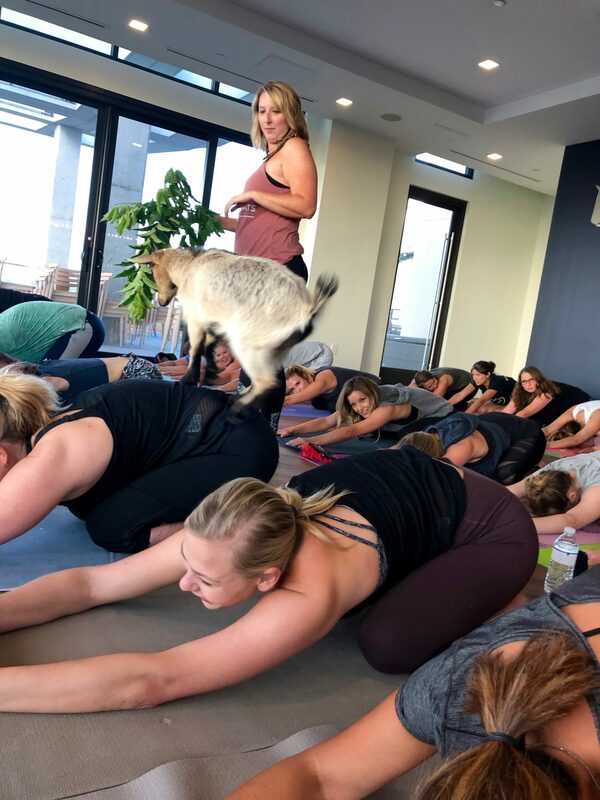 Throughout class, the Shenanigoats instructor will teach yoga while other staff members ensure the goats interact with you during your practice. 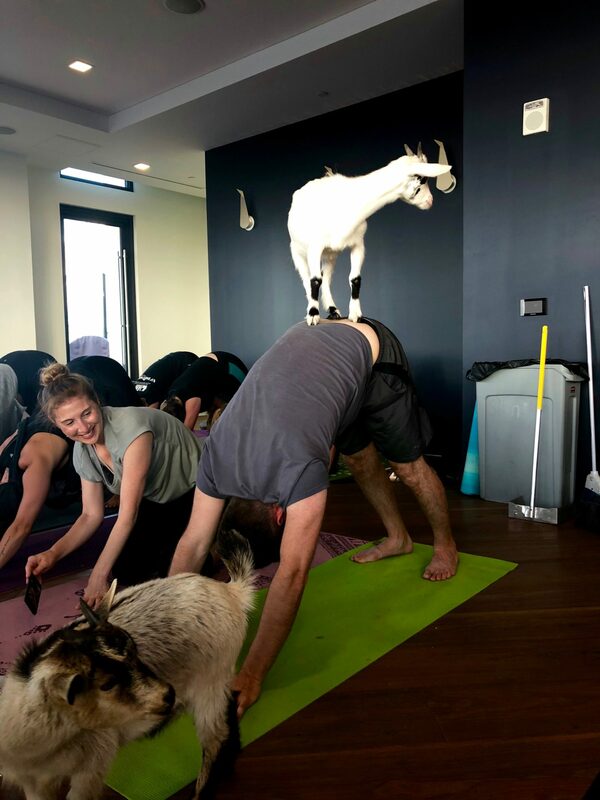 At the end of class, the instructors will help you take photos with the goats in different yoga poses. For more details, visit Shenanigoats Yoga’s website.